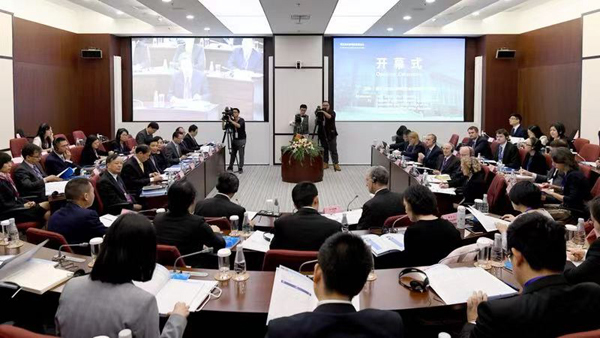 Exchanging cross-border criminal evidence and establishing financial trial and dispute resolution mechanisms under the frame of financial globalization were discussed by Chinese and British judges and legal professionals at an international judicial-focused roundtable conference on Oct 25. 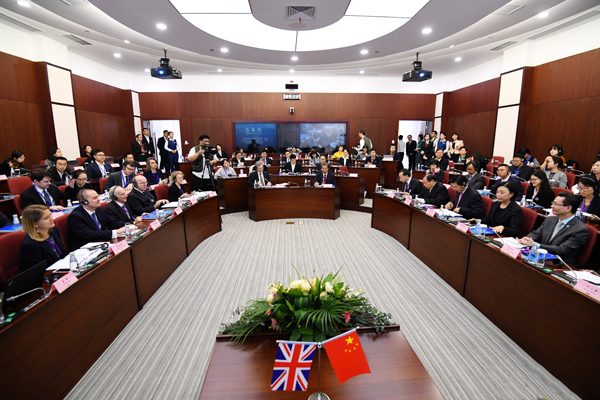 Focused on "cross-border judicial cooperation", the 5th UK-China Judicial Roundtable was held in Shanghai, with Pei Xianding, member of the adjudication committee of China's Supreme People's Court, and Lord Hodge at the Supreme Court of the United Kingdom in attendance. At the opening ceremony, Pei outlined the close relationship between the two countries and the increasing need for deep cooperation on justice. He said the roundtable promotes exchanges of the two nations in the field of justice and contributes to the protection of the people's legitimate rights. To deepen cooperation between the two sides, Pei suggested improving cooperative mechanisms through innovation modules and increasing information sharing through technologies such as big date and artificial intelligence. Lord Hodge pointed out that cooperation in justice would benefit both countries and a closer relationship will emerge from mutual exchange by judges and legal experts.